Do you want to make task cards and cool colorful activities for your students, but can’t afford the cost of the color ink to print these things? I feel I just have to pass this tip along to you because it has been a real money saver for me. 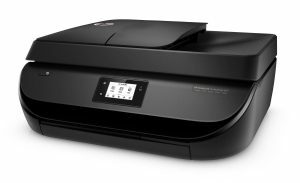 When I bought an HP home printer, I enrolled in their HP Instant Ink plan hoping it would save me money on ink costs. With an HP Instant Ink plan, I can choose a 50 page a month plan ($2.99), a 100 page a month plan ($4.99), or a 300 page a month plan ($9.99). The best thing is that I can print color or black, whatever I choose, and HP monitors my usage (via wireless) so I can check at any time. There’s no extra cost for printing in color!! When the system sees I’m getting low on ink, they mail new cartridges to me in plenty of time so I never run out. And they provide an envelope to return the used cartridges. Any unused pages are rolled over to the next month. If I go over the allotted pages, I am billed $1 per each set of 20-25 pages. I can cancel or change plans any time I want to. For example, during the school year I use the 300 page plan each month, but during the summer months, I use the 50 or 100 page plan. In essence you are paying for the number of pages you print, and not the ink cartridges. Because I think it’s such a great plan, I want to pass along the information. If you are interested, click on the link below. If you enroll (check to make sure your printer is eligible) using my link below please, you will get 1 month free (and so will I). I am not getting paid to make this statement (other than bill credit if you enroll)– just trying to help us all out with teaching expenses any way I can! Be sure to check out my new links to my free downloads (in the black bar on the home page). OK Math and Reading Lady FREE Downloads now available!! I am thrilled to announce that a link to my FREE downloads is now up and ready! You can preview it HERE now. 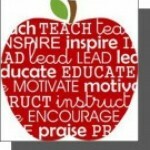 Or you can always find it on my blog homepage (cindyelkins.edublogs.org) and look on the header in the black strip. This may help you quickly find what you are looking for. 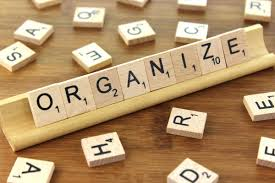 You will find links organized by Math, Literacy, and Misc. Within each subject area you will see specific target areas (such as number bonds, multiplication, fraction, guided reading, writing, and so on). I linked the posts that these downloads are in so you can get the full story. Often within the posts are links to other free stuff (by other bloggers). Let me know if this works for you – or if you have suggestions for future posts for this coming year! I will be ready soon to address more issues you care about as I celebrate two years of blogging (started August 2016).